The Kogi State Government says huge loan servicing is responsible for its inability to pay the salaries of its workers regularly. Mr Kingsley Fanwo, the state Director-General, Media and Publicity made this known in an interview with the News Agency of Nigeria (NAN) on Sunday in Lokoja. Fanwo said that the loans were taken by the two previous administrations for projects that did not add value to the state. “Sometimes, we repay between N400 million and N500 million monthly as loans that add no value to the state. “These loans were taken by the last two administrations and some of them were invested on projects that were never completed. “When you go out, you will see Kogi Hotels, billions of naira was collected for that project and it was not completed, and it is not adding any value to the state. “Also, the Kogi House in Abuja has gulped billions of naira, yet, it is not completed, not adding any value to the state,’’ he said. The DG said the previous administrations collected N200 million from the Central Bank of Nigeria (CBN) for Small and Medium Scale Enterprises (SMEs) development, which was not used for the purpose intended. According to him, rather than using the money for SMEs development, some people just shared the money. He said despite the poor resources accruing to the state, the government still strive to pay workers’ salaries. “We cannot shy away from the fact that the resources that is coming to the state now has dwindled due to the loans we are repaying. “It is increasingly difficult to muster enough resources to pay salaries regularly. “As I speak with you, we are still owing March and April salaries,’’ Fanwo said. He said despite the dwindling resources of the state, the government will remain committed in the payment of salaries even if not as when due. 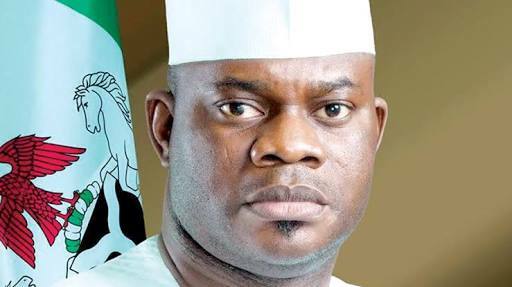 “When you do a comparative analysis of wages in the North Central geo political zone, Kogi pays the highest and despite that, we have been very faithful,’’ Fanwo said. The DG denied allegations that workers were being owed 24 months salary. He said those peddling the falsehood were the people that benefited from the rot in the state in the past. On bailout funds received from the Federal Government, Fanwo said that they were used to pay workers’ salaries. He, however noted that the bail out funds were not free gifts. “The bailout funds were not gifts from the Federal Government, it was more or less a loan, so you have to prioritise what you use your bailout funds for. “So, we used it basically for salaries and we were the only state in the federation that published how we used that bailout funds. “Transparency and accountability are the hallmarks of this administration,’’ he said.